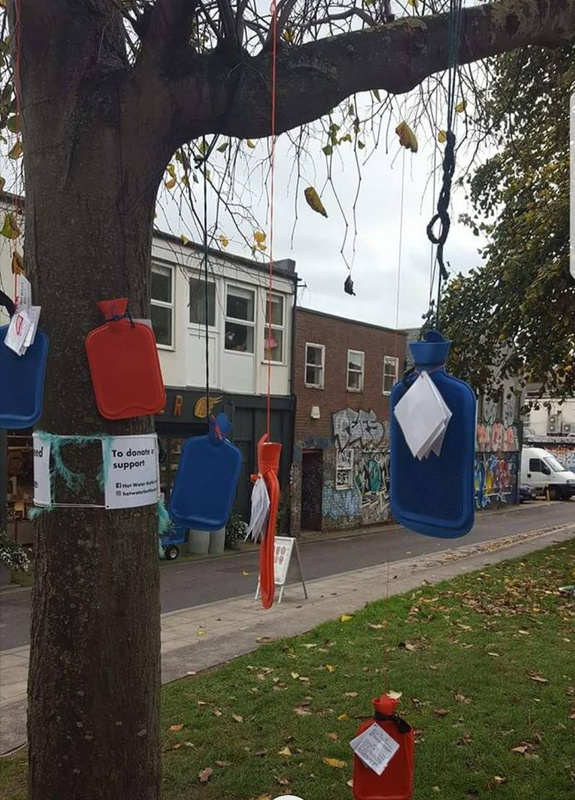 Hot water bottles left on a tree by the Hot Water Bottle Network, a group that leaves donated hot water bottles in public for homeless people to take during the winter. As the winter chill returns to the air residents of UK cities may start to see peculiar things appearing on their trees. 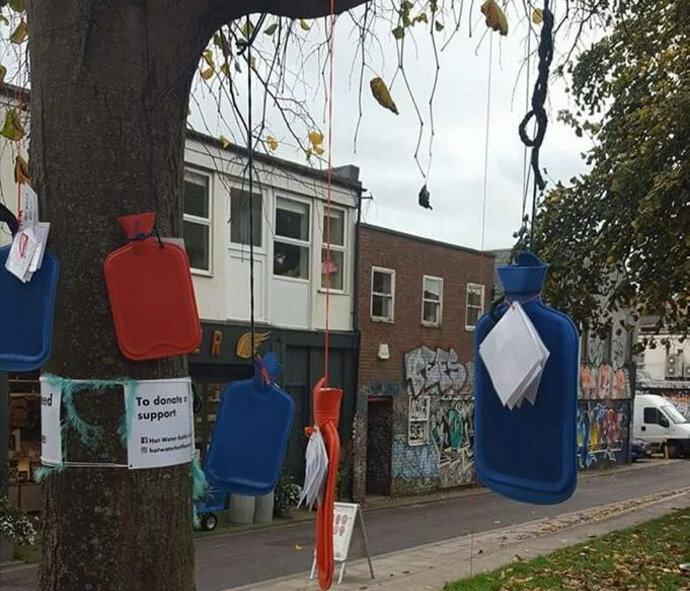 We’re not talking about traditional autumn things like conkers, no this year some city-centre trees will start sprouting hot water bottles. 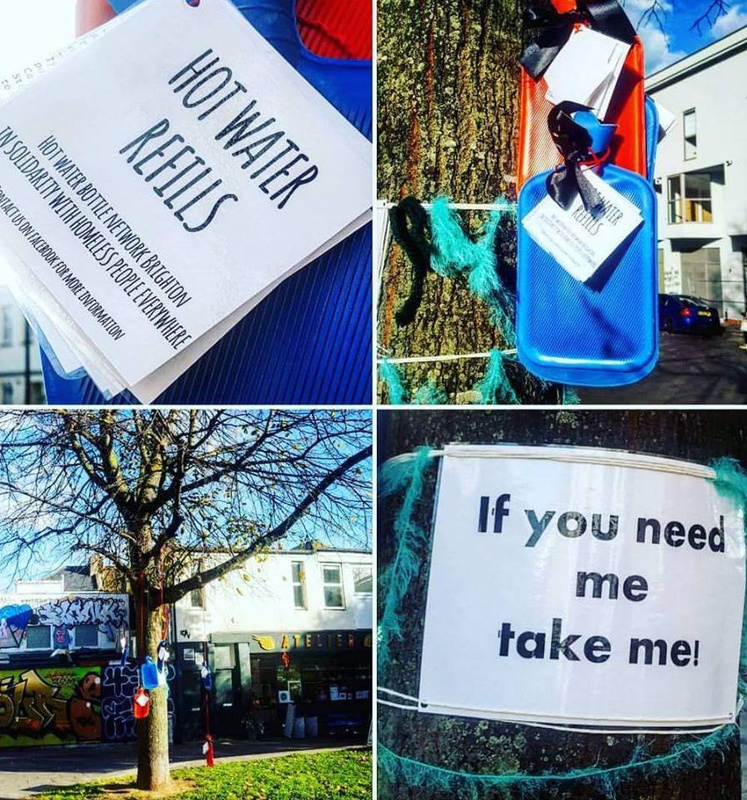 The Hot Water Bottle network collects donated hot water bottles and leaves them tied to trees for homeless people to use, along with directions to businesses which have agreed to provide hot water. “It’s already cold on the streets,” said Bristol organiser Pete Wentland. “We are taking this action as an emergency measure to try to make the winter that tiny bit more bearable for those who face the worst brunt of it. Cooperating businesses will be listed on a tag attached to each bottle and a poster in participating business windows will let people know where to go. The Hot Water Bottle Network operates in Bristol, Bath, Leicester and Brighton, each with their own Facebook page. The group are keen to expand, into more cities – with Cardiff next on the list. “If anyone is interested in helping collect donated bottles or any if business want to be involved please get in touch,” said Pete.